Meditation for You class starting Thursday 25th April! Only a couple of places left book yours now! Whether you know how to meditate or would like to learn for the first time this will be a wonderful experience for you. In just six weeks with different tips, methods and guidance, you will realise that you can meditate when and wherever you want to. Enhancing your ability to find peace, tranquillity and healing. To enhance your meditation, we will try different types of meditation, music and talk about each chakra so that you find your own personalised way to enjoy the benefits of meditation. Start now and bring balance into your life through meditation to help heal your mind, body and soul. I’m excited to announce that new courses will be starting soon. Just send me your course preferences and I’ll let you know when your course is starting. Thank you! 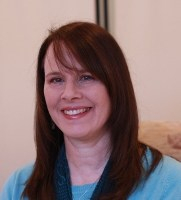 I’m getting in touch today to share something exciting – I’ve started to share my events, courses and one-off classes on my new Facebook page Janey’s Spirit Connexions! You can Book Now here!